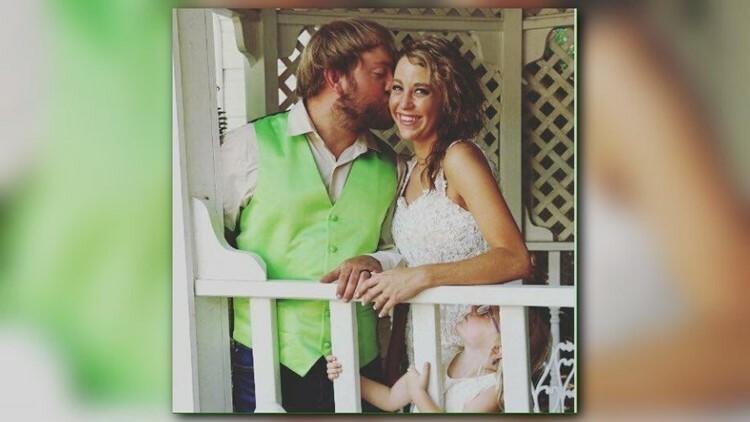 On a cool Friday evening, last September, the newlywed was enjoying a night outside with her husband of two months—celebrating their anniversary at their Tallapoosa, Ga., home. Her 4-year-old daughter, Caroline, was asleep inside. Her husband was behind her, grilling tuna steak and asparagus, while she sat with the crackling campfire in front of her. She mentioned to him that she was chilly. The 27-year-old bride was scrolling through her Facebook feed on her phone, and looked up just in time to see her husband throw gasoline on the campfire. The campfire erupted, flooding her face and blonde, shoulder-length hair with an intense heat, and immediately and simultaneously submerged her entire body. From her head to her feet, flames ravaged her—her flip flops melting on her skin. She dropped to the ground, remembering what she had learned in school as a child. But “Stop, drop and roll” wouldn’t save her from the relentless blaze. The gas-infused fire only continued to grow. 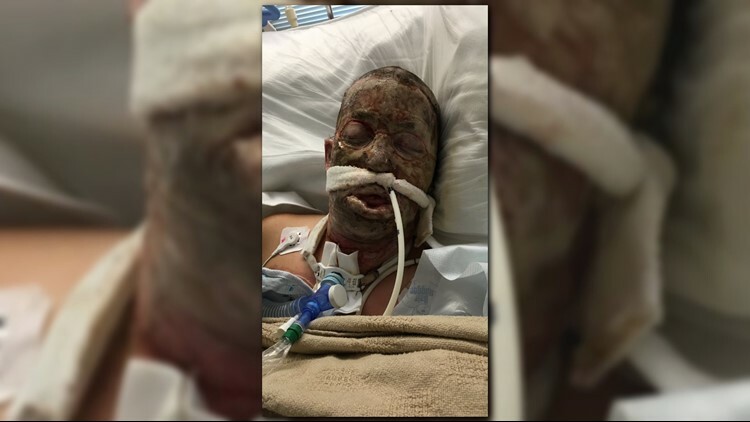 Her husband dropped to the ground and started smothering his fully engulfed wife, hoping to extinguish the fire. She was then air-lifted to WellStar in Cobb County. It was Sept. 30, 2016. When she arrived at the hospital, she said, her entire face was swollen beyond recognition. 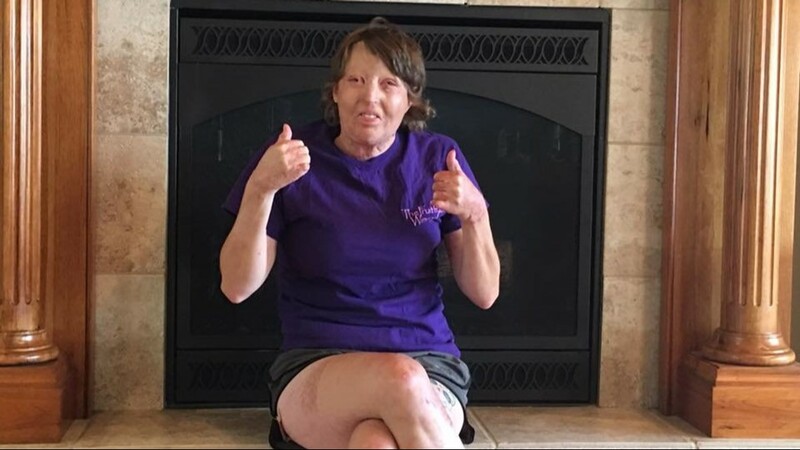 She woke from her medically induced coma 36 days later in the ICU burn unit, with fourth-degree burns on her neck, third-degree on her hands, legs and feet. “I did know the fire had hit me all over my body, but I did not know what to expect,” she said. The first time she saw herself at the hospital, she recalled, she almost passed out and had to go lay down. But the pain of her appearance would not compare to the physical pain she would experience. She endured more than a half a dozen surgeries, including one while she was in the coma. 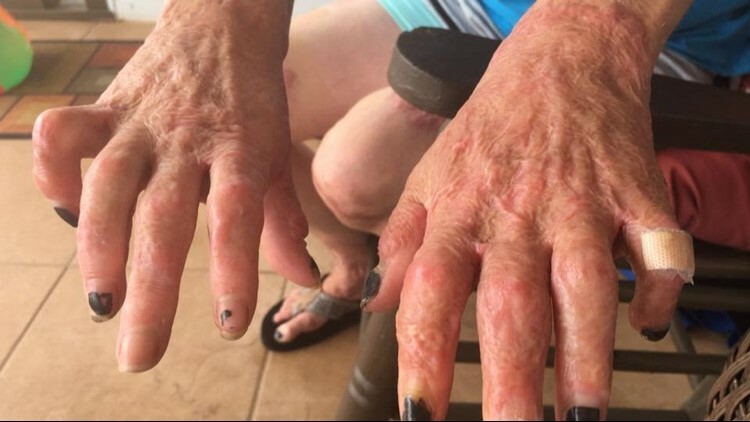 “They were doing skin grafts… adding skin to my neck, hands, legs, feet… you name it, I have a perfect flip flop burn on my left foot from that night,” she said. After 51 days in the hospital, she was released to go home. But before she would go inside, she made her family remove all the mirrors inside. But then her daughter saw her. She peered up at her through her tiny glasses. She didn’t understand. She didn’t know the person in front of her. She looked like a stranger. “She was very hesitant. She just stood back after she walked through the door basically and then she heard my voice,” she said. 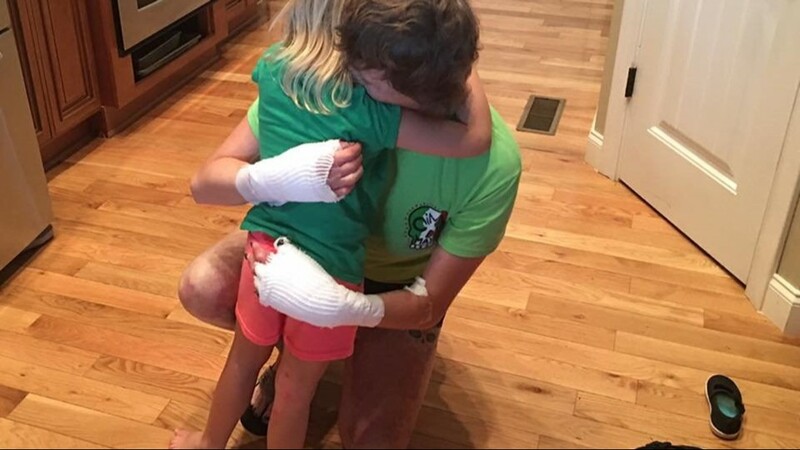 She walked up to her mom and wrapped her tiny arms around her, refusing to let her go. Tears ran down her face as she begged her mom to stay with her, after she realized who she was. It’s a love that’s more resilient than her burns and tougher than her scars. And that love gave her the will to survive and the strength to face her future. “She showed me that no matter what I look like I am still loved, and I will be loved by others as well. And here I am, just loved by so many, and they actually see me, because of my beautiful inside now. My daughter she's my rock, she's my everything,” she said of Caroline, who’s now 5 years old and would hold her hand and help her walk when she couldn’t on her own. A short time after she came home, more devastation hit her household. Two weeks after she came home, her marriage couldn’t withstand the emotional toll the fire had taken on their relationship. But, Waldon said, God gave her the strength and she learned to make butter knives her best friend. Since her injuries, she can longer work and lost her job at the cappuccino plant she worked at before the accident, and subsequently lost her home. With the severity of the injuries to her hands, it is uncertain that she will ever return to work. But, she is OK with that. 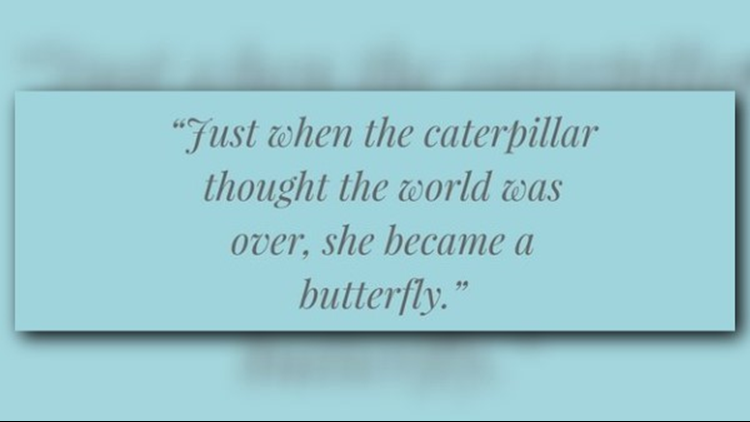 And she looks at how far she’s come. What remains aren’t just scars covering her face, neck, hands, feet, legs and arms—but a new stance on life, especially with the support she has received from her community. Volunteers from Waldon’s church and community have come together to build her and Caroline a new home in Waco, Ga., on her parents’ property--giving her family a new start to a new life. Three weeks ago, she could finally fully open her eyes. They had been sewn halfway shut in order to heal. These days, she continues physical therapy twice a week and has a laser procedure every month. Her pinky fingers may have to be amputated, she said, because the scar tissue has created a curving that doesn’t allow her to use them or bend them at all. 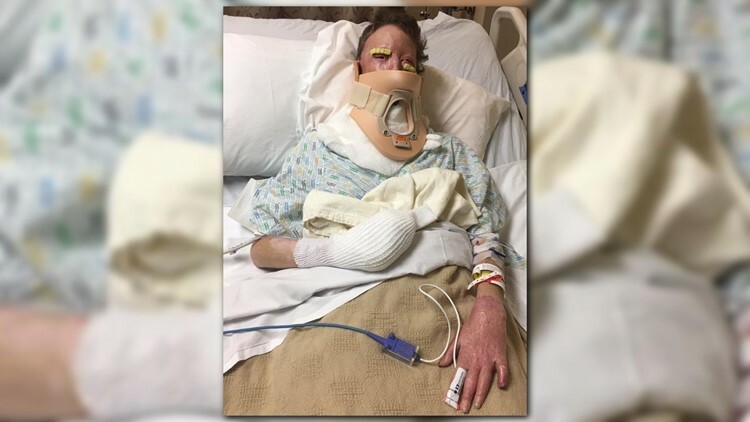 But after nearly two months in the hospital and 20 surgeries to date, as well as an estimated 12 more surgeries over the next two years, the medical bills have piled up. Therefore, a GoFundMe page was created to help her and her daughter. To date, the page has raised nearly $350,000 of her $500,000 goal in six months for Waldon’s surgeries. Thanks to her family and community, she said, she stays positive and prays, and wants to show others how to live and learn what truly matters.